Nice hostel ... All ok.
New Direction and teamwork "Since November 2014" improving the facilities and 24H available to our guests. We are One of the more "Cheaper Guesthose" in the Area. Good value for price 8 points. "Hostal" youthful atmosphere and friendly to meet new people from different cultures. 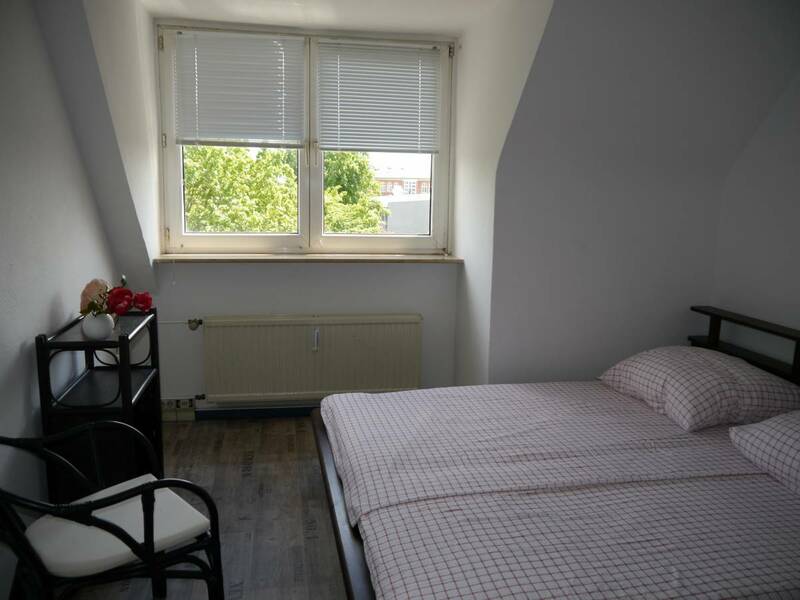 Conveniently located inHamburg’s South and just150 metres from Landwehr Metro-Station, Wira Guesthouse 112l offers free WiFi access and free tea throughout the day. The dormitory rooms here are bright and traditionally decorated with wooden bunk beds. There bathroom, showers rooms and Cafe Area and lockers are available. 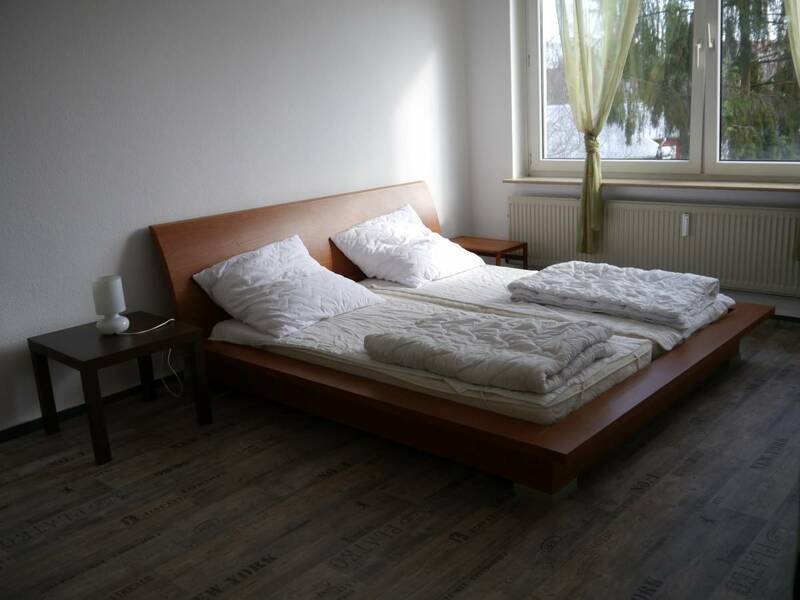 We are a quiet, tidy and comfortable hostel that is only 1 km, from beauty full Alsterlake , Very nice City Hall , Hamburg centre is only for shoping Area 4 stops. if you want us to wait for you after 10 pm you need to tell us before. We will wait but we need to be payed for our overtime, it´s fair, isn´t it? It´s only 5€ pax per hour. If you don´t tell us before we will cancel your booking. For those bookings with no arrival time, we will wait for you up to 19:00, if there is no check in, then we have to cancel the booking. but don´t forget to bring with you your laptop or phone, wi-fi internet is for free! We have an office center so you can easily print your documents, use a phone or send a fax. You can use our washing machine and dry your clothes extra 5€. Wir sind ein ruhiges, ordentliches und gemütliches Hostel, das nur ein paar Schritte von der Elbe, dem Fischmarkt, dem Hafen und dem legendären St. Pauli und Altona entfernt ist. In St. Pauli findet man viele Clubs, Kneipen und Discos. Auf dem berühmten Fischmarkt, der auch nicht weit ist, kann man das wahre Hamburg kennenlernen, aber nur Sonntag morgens zwischen 5 Uhr und 10 Uhr. Dort spielen auch viele Bands live. Das gleiche gilt für Altona, wo Musiker aus der ganzen Welt kommen, um dort auf den Straßen zu spielen. Wir akzeptieren Kreditkarten als Zahlmittel, aber es wird eine Gebühr von 3% berechnet. Unsere Rezeption hat zwar nicht 24 Stunden geöffnet, aber von 8 Uhr bis 22 Uhr. Falls wir auf euch warten sollen, müsst ihr vorher Bescheid geben. Wir können auf euch warten, allerdings müsst ihr unsere Überstunden auch bezahlen - ist ja nur fair, oder? Es sind auch nur 4, 90 Euro die Stunde. Wenn ihr uns nicht vorher Bescheid sagt, müssen wir eure Reservierung leider stornieren. Auf diejenigen, die bei ihrer Buchung keine Ankunftszeit angegeben haben, warten wir bis 18 Uhr, danach wird die Reservierung storniert. Aber denkt daran, eure Laptops und Handys mitzunehmen, WLAN-Internet gibts umsonst! Wir haben auch ein Büro-Centre, ihr könnt also eure Unterlagen bei uns ausdrucken, telefonieren oder faxen. Ihr könnt auch unsere Waschmaschine benutzen und eure Wäsche hier aufhängen. Sonst noch etwas? Achja, täglich von 8 bis 10 Uhr bieten wir für 3, 90 Euro ein All-You-Can-Eat-Büffet an, heiße Getränke kosten 2, 90 Euro. Wir bieten auch Speisen und Getränke zum Mitnehmen an. A pochi passi da St. Pauli e Altona, i famosi quartieri di Amburgo dove divertirsi giorno e notte! Siamo in Königstrasse (la strada del Re) e in pochi minuti potete raggiungere St. Pauli, il quartiere dei pub, delle discoteche e dei casino´, il Fishmarket, dove la domenica mattina, dalle 5 alle 10, Amburgo manifesta la sua anima vitale, e Altona, il quartiere degli artisti, dove potete sentire musicisti di tutto il mondo semplicemente camminando per le strade. L´ostello e´ pulito e confortevole, il personale accogliente e I prezzi bassi. Vi forniremo a soli 3 euro le lenzuola e a soli 0, 9 euro l´asciugamano, cosi´potete viaggiare leggeri. Portate il vostro laptop! Internet wi-fi e´gratis! La nostra reception e´aperta dalle 8 alle 22. Se arrivate dopo le 22, ditecelo, vi aspetteremo con un piccolo sovrapprezzo per il nostro straordinario: 4, 9 euro l´ora. Se non ce lo direte saremo costretti a cancellare la vostra prenotazione. Abbiamo un office center, potete stampare i vostri documenti, spedire un fax o chiamare. Nella nostra cucina potrete gustarvi un caffe´, un the o un cappuccino. Il primo costa 2, 9 euro, gli altri sono gratis. Ad Amburgo si dice "colazione da imperatore, pranzo da re e cena da mendicante" Noi vi offriamo la nostra mega colazione a soli 3, 9 euro! Potete inoltre lavare ed asciugare comodamente i vostri vestiti, senza bisogno di andare in giro per la citta´a cercare una lavanderia. Abbiamo anche un piccolo bar e possiamo offrirvi qualche drink e qualche snack, se avete voglia di qualcosa di sfizioso. to use Elctric item need to deposit , key lost cost 50 €. for late check in please contact Wira staff immediately.